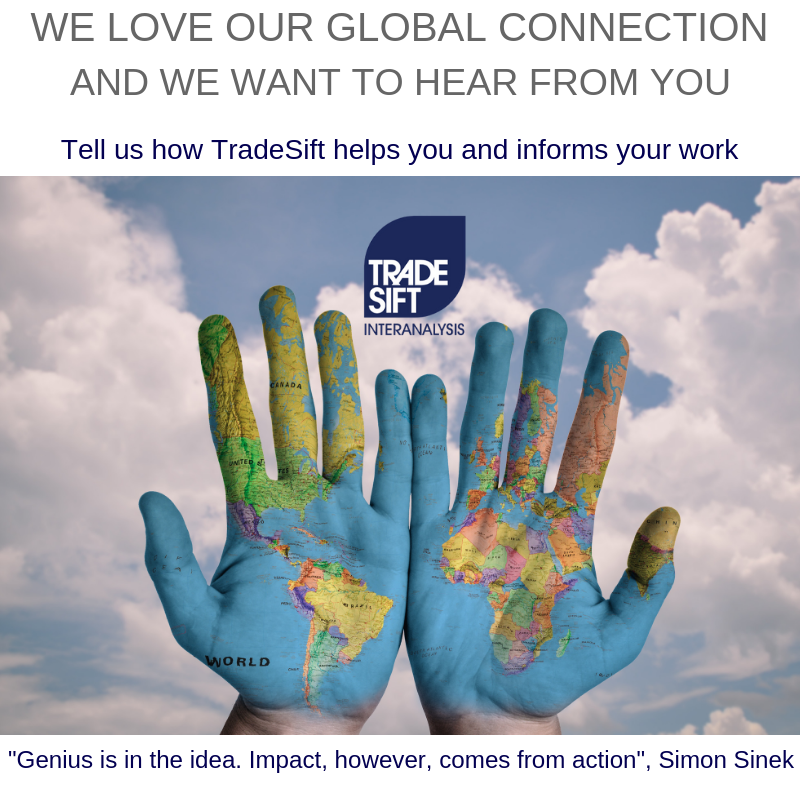 We want to hear from you and how TradeSift benefits and influences your trade policy analysis and decision making process. As we enter our 10th year this would be a fabulous opportunity to re-connect with older and more recent colleagues and, in doing so, establish the reach we’ve been able to achieve with all of your help. Please email your success stories to: info@tradesift.com. If we haven’t heard from you in some time, perhaps this is the perfect occasion to re-connect. Thank you for being such loyal advocates of TradeSift! See you at WTO Trade Forum 3rd Oct 2018 and "We Need To Talk About Donald"